The San Diego County Board of Supervisors voted today to move forward with laying off 38 full-time Animal Services employees as part of a plan to shrink the department. 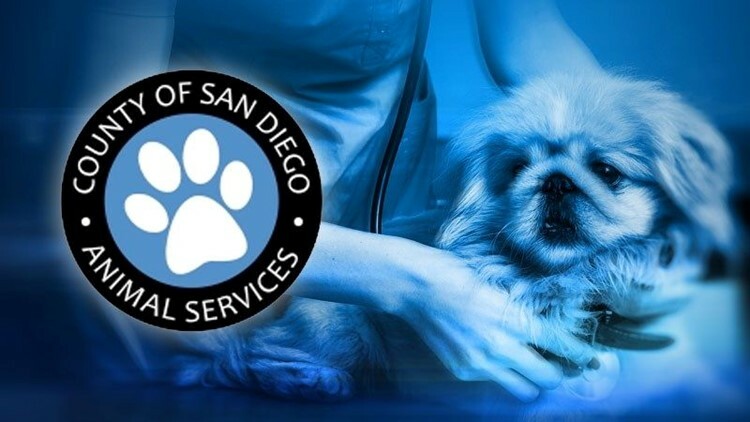 SAN DIEGO (CNS) - The San Diego County Board of Supervisors voted Tuesday to move forward with laying off 38 full-time Animal Services employees as part of a plan to shrink the department. The workers will be laid off on July 2 following the board's decision in March 2017 to end the Animal Services contracts with the cities of Carlsbad, Del Mar, Encinitas, San Diego, Santee and Solana Beach. Fewer workers will be needed beginning in July when the department transitions to being responsible for shelters and enforcement services only in unincorporated communities, county officials said. The board voted unanimously -- minus Supervisor Ron Roberts, who was absent -- to approve a plan to eliminate 68 positions in the Animal Services Department. Thirty-eight of those positions are currently held by full-time county employees and include the assistant director and two deputy directors. The remaining jobs are either vacant or held by temporary employees, according to a staff report. The supervisors did not discuss the department shrinking, which has drawn ire from San Diego City Council members. The county's plan hinged on private entities stepping in to perform animal control duties in cities like San Diego. Only one submitted a proposal: the San Diego Humane Society. The City Council's Budget and Government Efficiency Committee last week advanced a proposal to have the society provide animal services within city limits. "The county is really disappointing us all -- after 45 years just getting out of the business. We're doing our best to pick up really big pieces here," Councilman Chris Ward said. The county Human Resources Department will provide assistance and "transition services" to the laid-off employees. Meantime, the Humane Society recently posted 200 jobs in anticipation of contracting with the city of San Diego.